Every year choosing which stories to nominate for the Pushcart Prize is difficult. It’s not any easier this year because, despite the fact we only put out three issues instead of four because I’m very aware that this is the final time I will be nominating work from Niteblade for this prestigious award. Difficult as it was, however, I have made my decisions and mailed the package today so they are final and official. Congratulations nominees, and good luck! Wow. It’s our final issue. It all feels so surreal, I don’t even know what to say. Thank you to everyone whose work has graced the pages of Niteblade, and to everyone who has worked (behind the scenes and otherwise) to make this magazine amazing. Thirty-three issues. Every one of them on time and as scheduled. That is no small feat. Thank you! 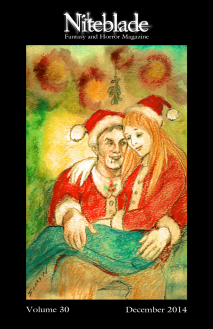 Marge Simon — Niteblade would not be the same without your art, that distinctive style you’ve lent to our pages. BD Wilson — We’d have never seen 8 years (8 years!!) without you. Thank you for talking me out of closing this magazine down so many years ago and for taking over all the web-based stuff. You’re awesome. Alexandra Seidel — From slush reader to poetry editor to friend. You are amazing and I’m so pleased to have been able to work with you for so long. Jonathan Parrish — Without you Niteblade wouldn’t exist. You’ve supported me in everything I do, but you’ve really gone above and beyond when it comes to Niteblade. Offering moral, financial and technical support and doing more work behind the scenes than anyone will ever know. Anyone but me, that is. Thank you. You’re amazing and I love you. And especially thank you to our readers. Without you this would all be pointless and I have really and truly valued your support through the years. Thank you, thank you, thank you! 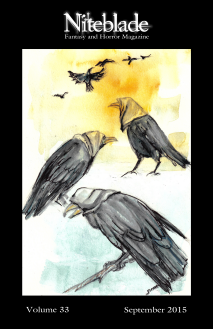 This final issue has two covers based on Sandi Leibowitz’s poem, The Island of Crows. 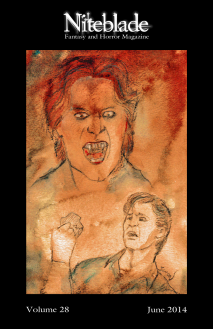 That is because cover designer, Jonathan Parrish, wanted to do one in our newer style and one in the style we used way back when it all began. The interior layout of the downloadable copies is also a hybrid between the old style and the new. So amazing! You won’t be disappointed. 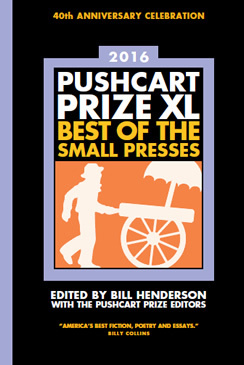 Nominating for the Pushcart Prize is always difficult. Picking six works from all Niteblade has published over the year? It’s freaking tough. If you think I’m exaggerating, take a look over our archives and try to choose the six works you’d nominate from four issues. See? Hard. This year it was made even more tricksy by the fact I was nominating not only from Niteblade, but also A is for Apocalypse. Luckily for me, I had back-up. 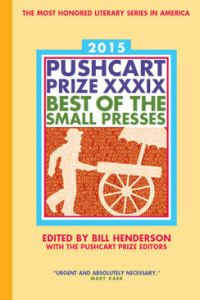 Poetry editor Alexandra Seidel helped me out with the nominations this year. And when I say helped me out I mean she was invaluable and pivotal when it came to making our poem-based decisions. Congratulations ladies, and good luck! And then there’s no going back! From the mists of antiquity to the edge of madness, the handpicked original fiction of Niteblade Magazine spans the finest reaches of Horror and Fantasy writing. Each issue features short stories and poems that intrigue, terrorize, inspire, and do not let you go! June’s issue is a riveting mix of selections that soothe with a feather’s touch and wrench you back around with white-knuckle intensity. It’s the full experience and the full release of horror and fantasy at its most compelling.